The first (and only) step is to stay on the trail. 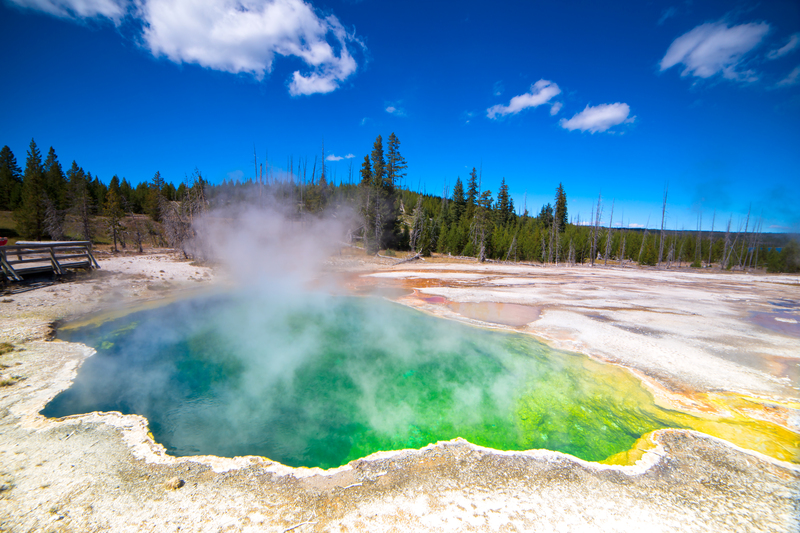 An Oregon man died over the summer at Yellowstone National Park in what might be the single most horrifying way to go: he boiled alive in a pool of acid which dissolved his entire corpse. His tragic story, the full details of which only recently came to light, has probably made “dying in literal boiling acid” one of your top fears. Luckily, there are steps you can take to avoid having such a terrible fate befall you — stay on the path. The victim, Portland resident Colin Nathaniel Scott, died when he fell into a deadly pool, according to KULR, who filed a Freedom of Information Act request to obtain the information. 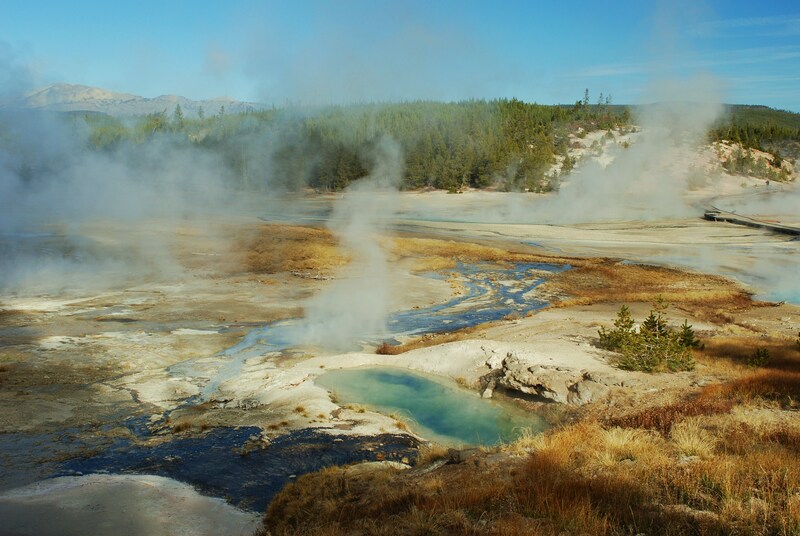 The 23-year-old and his sister, Sable Scott, were visiting the park in June when they decided to venture far off the designated boardwalk in the Norris Geyser basin. After walking “several hundred feet up a hill,” the pair arrived at some natural pools. Scott wanted to take a dip in one of the natural hot springs, a practice known as “hot potting.” He got near one of the springs, knelt down to stick his finger in to gauge the temperature, and slipped to his death. Search and rescue workers found a body when they arrived at the scene later that afternoon, but their recovery efforts were put on hold due to a lightning storm. The next day, when they came back, there was nothing there. “In a very short order, there was a significant amount of dissolving,” Deputy Chief Ranger Lorant Veress explained in a report. Sable Scott recorded the entire hike and subsequent tragedy on her phone, but the footage is not being released, for obvious reasons. Scott’s death is truly sad, but it highlights an important point: don’t venture off while visiting a National Park. As his story shows, you can kill yourself. According to Outside, Scott was the 22nd recorded death due to the park’s beautiful, deadly hot springs. He joins a 7-year-old who fell in a spring in 1890, and a 24-year-old Californian who lept into a spring to save a friend’s dog in 1981. Both died. Yellowstone tries to avoid having more fences and paths than necessary because they mar the natural beauty and splendor of the park. But, if visitors won’t show some self-control and stay where they’re meant to go, they can damage the environment — and themselves. “Taking shortcuts causes trail erosion and is dangerous—in hydrothermal areas stepping on thin crust can plunge you into boiling water,” the National Parks Service warns on its website. I mean, do you really need more than that?